There’s no doubt about it; your dog is your best friend and you want the very best for them. 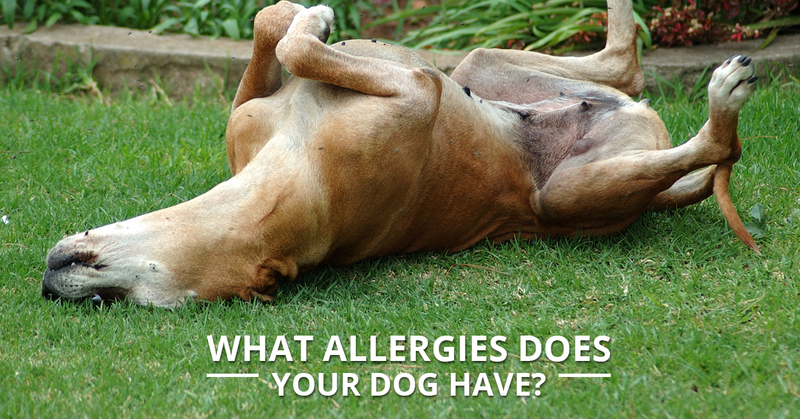 And, just like people, there are allergy seasons for dogs too. Dogs will show allergic reaction symptoms just like humans when their immune systems recognize that an allergen or substance is dangerous to their body. Obviously, nobody expects their dog to have a compromised immune system, and our veterinary hospital wants to help in any way possible. Allergies can be extremely problematic for dogs, and in some cases, dogs will have extreme reactions to substances that are either inhaled, ingested or come in contact with their skin. As your dog tries to rid their body of the substance, there are a variety of digestive, skin and respiratory symptoms that may become exposed. Dogs who are suffering from a yeast or bacterial skin infection may also experience scabs or crusts on their skin, as well as hair loss. What dogs are likely to experience allergies? Believe it or not, any dog at any age can develop allergies during their life. However, allergic reactions are more common in certain breeds of dogs, including Setters, Retrievers, Terriers and flat-faced breeds, including Pugs, Boston Terriers and Bulldogs. Are dogs likely to be allergic to food? Yes! It is not unusual for a dog to be allergic to their food, table scraps or treats. Although it may take a lot of detective work to figure out which part of their diet is causing them to experience allergic reactions, it can happen. Most commonly, dogs that are allergic to their food are likely to have allergic symptoms, including gastrointestinal problems, diarrhea and chronic ear infections. In order to figure out what your dog is allergic to, we highly urge you to schedule an appointment at our veterinary hospital here in Boise. As an example, if your dog is allergic to chicken, they may start to develop and show symptoms of an ear infection. If this is the case, eliminate this food completely from their diet and watch your dog closely. However, this may not be as noticeable as you had hoped. With our help, you will be able to make sure your dog is receiving the proper nutrition by avoiding foods they are allergic to. What should you do if you think your dog is having an allergic reaction or allergies? If you’ve started to notice habits your dog has developed, such as itching their ears, chewing on their paws or licking their skin more often than usual, it’s suggested you make an appointment with your veterinarian. Our veterinary hospital in Boise is a great choice, and we can determine what the source of the allergic reaction is. To learn more, feel free to give us a call at 208-726-7777 or visit us online.